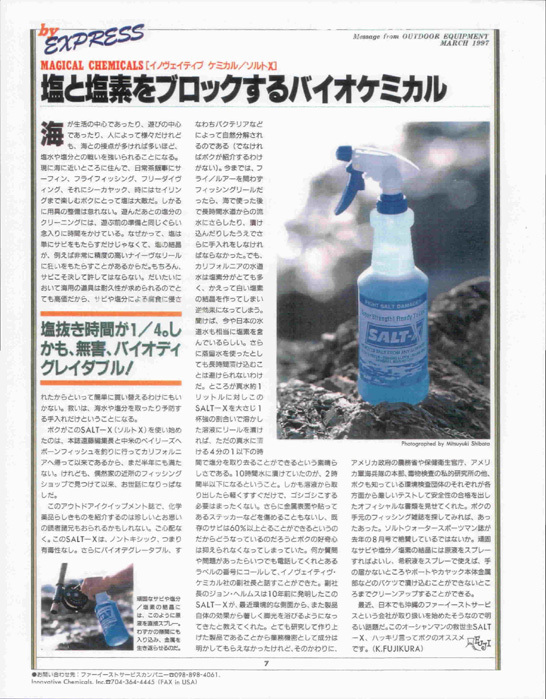 SALT-X, The Ultimate Salt Killer Has Arrived In the far east! Salt/Chlorides are everywhere, in the air, on the beach, even in the fresh water we drink. Imagine... when you were trying to wash the Salt off your car or other equipment, you are rinsing it with water containing salts and chlorides! Adding further insult (insalt) to injury, many liquid soaps we use, contain salt as a building agent. So... when we thought we were cleaning our cars and other equipment....we were just washing salt into the cracks and crevices which do nothing but help corrosion! Adding SALT-X to that rinse water will effectively remove all salt chlorides from cracks and crevices. When I was stationed in Okinawa the worst part of a Typhoon was the cleanup. Cars has salt crystals all over them, and surface rust was starting it's deadly game. A simple few minute rinsing with Salt-X will eliminate the salt and keep that car looking good. You save money in repairs and maintain the re-sale value of the vehicle. If you are in the Pacific Rim and need SALT-X, contact you local distributor at Salt-X Australia.